Cannabinoids are a great treat for your skin and may even benefit those suffering from certain skin conditions. A cannabis salve is fairly easy to make and is a perfect way to use all those trimmings. As studies have recently shown, cannabinoids can be helpful in preventing acne and treating a range of skin conditions. Cannabinoids seem to regulate lipid production, and even when applied topically on the skin, can have a beneficial effect. Cannabis salve is a convenient and discreet cream that can be applied to the skin in many situations. It will not get you high, or at least, certainly not to the extent that a smoke would get you; but the cream can be highly beneficial for certain skin conditions as well as being highly moisturising for the skin. Studies have shown that external application of cannabis could be used to treat arthritis, sore joints, muscle spasms and skin disease such as psoriasis; they also act as a great healing balm, improving recovery from injuries such as cuts and burns. The following recipe should explain how you can easily harness trimming to make your own. 25 - 30 grams of cannabis trimmings, stems, offcuts and/or bud. Warning: This recipe involves cooking with hot oils, make sure you cover up and work carefully. Oil burns can be severe and we take no responsibility. 1. The first step is to ensure that you cannabis is decarboxylated. 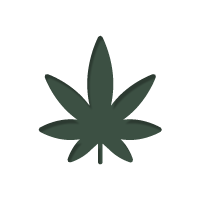 Raw cannabis contains THCA and requires heat to convert it into THC, the psychoactive form. Decarboxylation is the process of heating your cannabis to cause this conversion. To decarboxylated cannabis, heat your oven to as close to 115 degrees Celsius as possible. Place the cannabis in the oven for 15-20 minutes. It should be noted that all offcuts can be used here, even stems, as they still contain a small amount of cannabinoids. 2. Place the coconut oil into the slow cooker and turn it onto a low heat. 3. As the coconut oil melts, grind your cannabis as finely as you can, preferably to the consistency of ground coffee beans. 4. Once the coconut oil is fully molten, add your finely ground marijuana into the oil and stir. Careful not to get any hot oil on yourself, and keep the temperature on low. It is important that the oil does not boil, although you will likely see some bubbles. This is due to any remaining water in the cannabis escaping. 5. Keep the oil cooking for 2-4 days, on and off, but do not leave the cooker on when you are out of the house or asleep for safety reasons. The total cooking time should be about 48 hours, which is why it is best to work with an electronic slow cooker. 6. After this period of time, turn the slow cooker off and allow the oil to cool completely. 7. Strain the coconut oil to separate it from the plant matter. To do so, take a large pot and place the funnel into it. 8. Place the cheesecloth in the funnel to strain out any green matter when the oil is poured. 9. Carefully take your slow cooker and pour the cannabis mixture through the funnel. The cannabis plant matter should be left in the funnel, held by the cheesecloth. 10. Once you have poured all of the oil, carefully take the cheesecloth and squeeze any excess oil left in the marijuana. You may be surprised how much is still in there – you could ideally use a food press if you own one. If not, by hand will suffice. If you any plant matter remains in the oil, then simply get some new cheesecloth and re-strain the oil to remove any last bits. 11. Wash out the slow cooker and put some 25 grams of bees wax into your clean slow cooker and melt it on a low heat. 12. Once the bees wax is molten, carefully pour you cannabis coconut oil into it and mix until they become one liquid. When they are completely mixed, turn the heat of. 13. Spoon out a small amount of the mixture and put it in a cup as a tester. Allow the tester to cool completely and then check its consistency. 14. If the tester is runny when fully cooled, turn the heat back onto low and add in some more bees wax. Continue this process of testing until you have reached a consistency that is both desirable and easy to apply. 15. Once you have the ideal mix, you can add in the Vitamin E oil, this will act as a preservative as well as boost the moisturising qualities of the cannabis. 16. You can also add in a tablespoon of any other healing or aromatherapy oils you may wish to add. 17. Turn the heat off and allow the mixture to cool until it‘s safe to pour. 18. Pour the mixture into glass containers of your choice and allow to completely harden out. 19. Make sure the lid is airtight and store in a cool and dark place. Note: throughout this recipe the temperature has consistently been kept low, this is so that the oil does not get burnt; do not be tempted to increase the heat. There you have it! You now have a balm for daily skin care. Simply take a small amount of the salve and run it into the affected area. You should feel immediate effects. Avoid contact with eyes and do not ingest. Apply as often as needed. Also, the salve can sometimes leave a greasy film on the skin. When this happens, use a paper towel or damp cloth to wipe clean – some people even prefer to use it just before taking a shower. Any smell created by the salve should dissipate within minutes. Please note, although the salve will not get you high, it may still cause you to test positive in a drugs test.